Verizon Chief Executive Officer, Lowell McAdam believes that there is the potential for the company to generate hundreds of millions of dollars in additional revenue from its wireless network if it looks beyond smartphones and tablets, because he thinks that there is a "market potential of billions in the 2020 timeframe" for products in areas like healthcare, automotive, and energy management. People will be really surprised at what we're able to do. The power of the networks is finally going to be able to provide these sort of things. In 2013 and 2014, you're going to begin to see that. Given what McAdams has talked about in the Verizon keynote, the "Internet of Things" and home automation is obviously a big part of the plan. Verizon already has products for home automation, so we expect that to be expanded, but we're interested to find out more about the healthcare and automotive side of the equation. This whole keynote is painful. It's just so political. Saying things but providing no details but all points are directed at them screwing us over by charging for more services instead of providing better services for cheaper. Well, if you don't want the more services, don't buy them. For example, VZW is offering the Samsung Galaxy Camera with the ability to send photos taken with the camera via the VZW data network (as e-mail attachments). If you don't want that ability, don't buy the camera and don't sign up for the monthly fee. 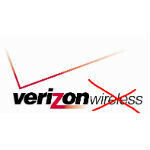 I doubt that VZW is spinning when they talk about new services. They have likely identified them and are working with hardware partners to roll out the services. LOL..."Where can we loot and pilage more? Oh...Grandpa's pacemaker and Little Suzy's hairdryer!" Brilliant! lolol i think they meant a diverse and strong portfolio, but yeah. I wish carriers had a parallel program. By parallel I mean that a carrier will let you test their network out for a month(alongside with your current carrier) with a random cell number and whatever device you plan on getting with that specific carrier. If you like then you stay and sign up etc. If you dont then you return the device and pay a months worth of wear and tear etc and a months worth of charges. This way you can experiment without dropping a lot of money. Also, carriers will have allocated a number of phones for such parallels so they dont keep using new ones. I dont think there is anything like this around... I want to try ATT in my area but Im afraid that I will hate it and lose my unlimited plan with Verizon. Verizon is expensive in my area! They already have that. well it use to be a month but now it is 14 days to try out the service and if you don't like it return device and pay for time used. Verizon calls it the Worry free guarantee. Yup-per on the WFG. 14 days would be better if the period was 30 days, but it is what it is. IMO, if you can't sufficiently test the new carrier in 14 days, you shouldn't make the move. Verizon stick to updating your devices faster and leave the thinking a head to others. i am not interested in a verizon branded car, pill, or house manger. I can only take so much of that ridiculous v.
I'm glad it's the folks at Verizon that are doing the thinking, rather than most of the people on here. Verizon is a BUSINESS, they are in business to MAKE MONEY. Making things cheaper, doesn't make them more money. They want to make more money much like most individual consumers want to make more money. It isn't greed, it's just basic business. Also, continuing to do the same thing they are doing now is a good way to go out of business, just take a look at Kodak, Palm and soon maybe RIM. By looking to the future, they are doing what is in their best interest to grow their business. You can complain about it all you want, but it appears to be working so they must be doing something right.